October 17, 2010. Cable car tracks on Powell St. at Bush St., San Francisco. 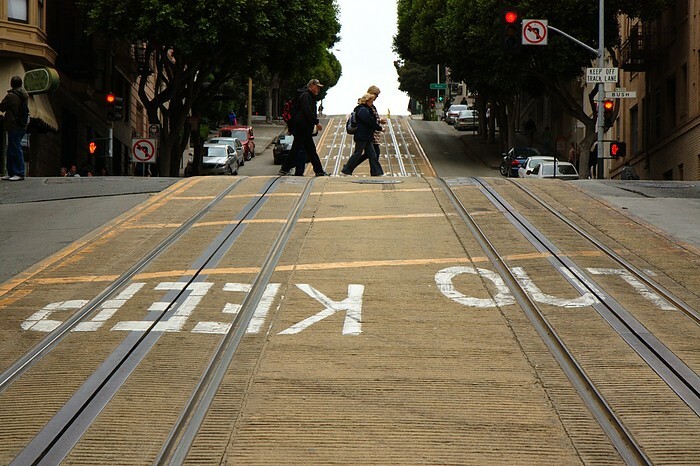 It's a steep hill, so I guess that's why they want everyone else to "keep out" of the way of the cable cars. 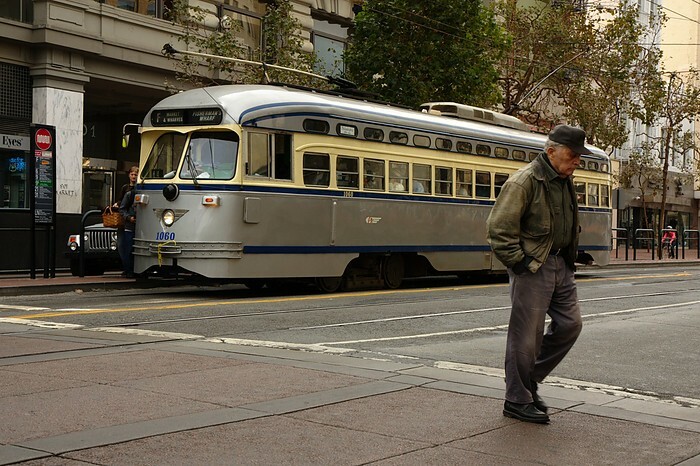 October 16, 2010, at the corner of Market St. and 5th St. in San Francisco. Shortly after my arrival in San Francisco, I was walking from the train station to my hostel, taking lots of photos along the way (of course). This section of Market St. is the first somewhat "touristy" area I walked through and, not surprisingly, I got a kick out of the old streetcars they have in service here. This PCC streetcar is painted in 1938 Philadelphia colours. They apparently have a TTC-coloured streetcar too, and I was watching out for it, but unfortunately never saw it. I was hoping to caption a photo with "TTC PCC in SF CA" (yeah, I'm a geek). February 26, 2010. Looking north at Dundas West subway station, on my way to work in the morning. Hopefully the last snowfall of the year? 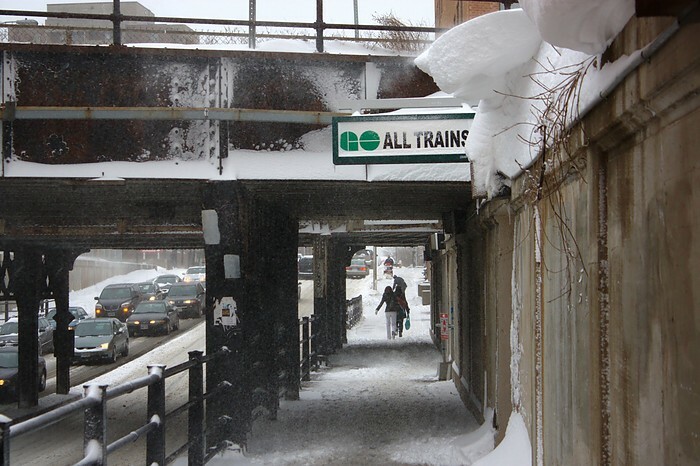 February 26, 2010: Walking west on Bloor St. next to the Bloor GO Train Station. It has been a wimpy winter, and the weather has started warming up again. 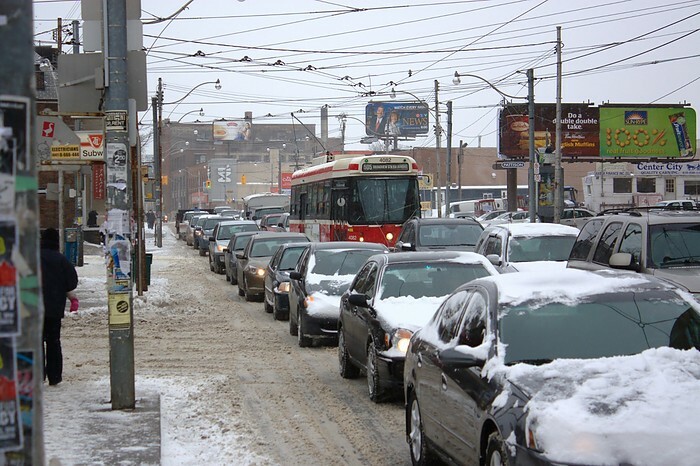 Maybe this was the last snow storm of the year? 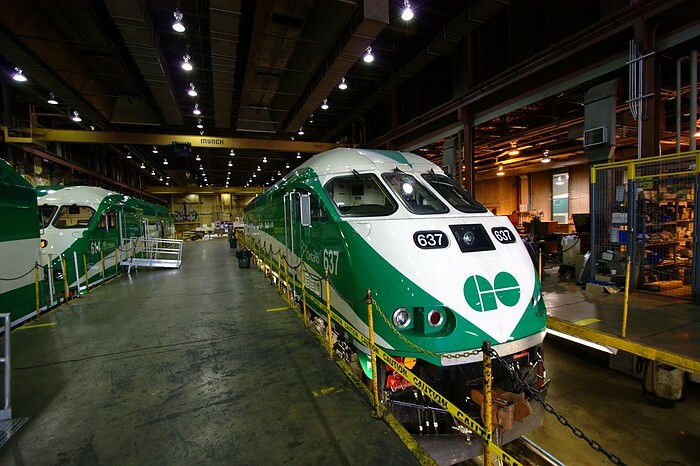 A GO train on the Milton line heading toward Union Station. I took this photo from the east side of the Wallace Ave. pedestrian bridge. On the morning that I took this photo, there was a near white-out blizzard that seemed to last only a few minutes. I grabbed my camera as I got ready to head out the door so that I could take some nice winter photos of the neighbourhood while walking to the subway. Unfortunately, the snow nearly stopped by the time I got outside. 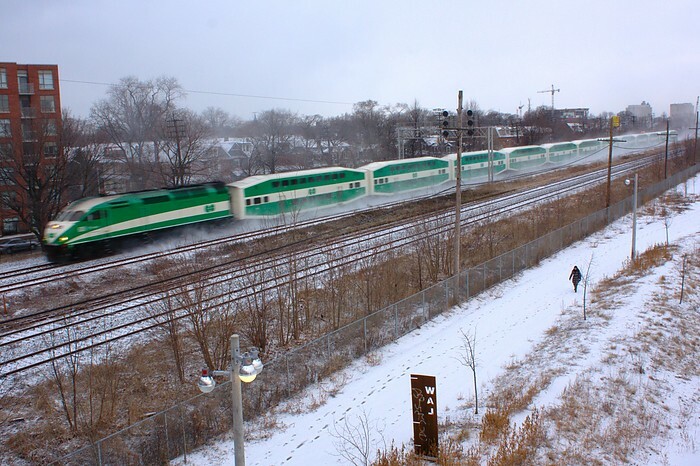 Ohwell, I still had a nice walk to Dundas West station through a small amount of fresh snow, and I was able to enjoy the view from the bridge. Last year's European vacation started with an unscheduled stop very far from Europe: Boston. We missed our connecting flight to Iceland and had to spend a whole day in Beantown. We made the best of it though! After getting a good night's sleep in a hotel, we took the bus and subway downtown and spent the day walking everywhere. 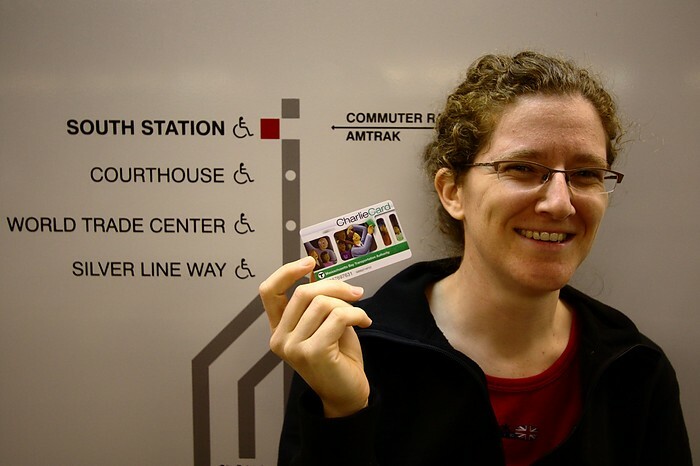 It's a beautiful city with plenty to see, but the most exciting thing for Jen was that she was able to buy a Charlie Card for use on Boston's public transit system. The "Charlie" character was popularized in a 1949 Kingston Trio song, which you can watch a great live performance of on Youtube. Some more photos from our day in Boston are here.